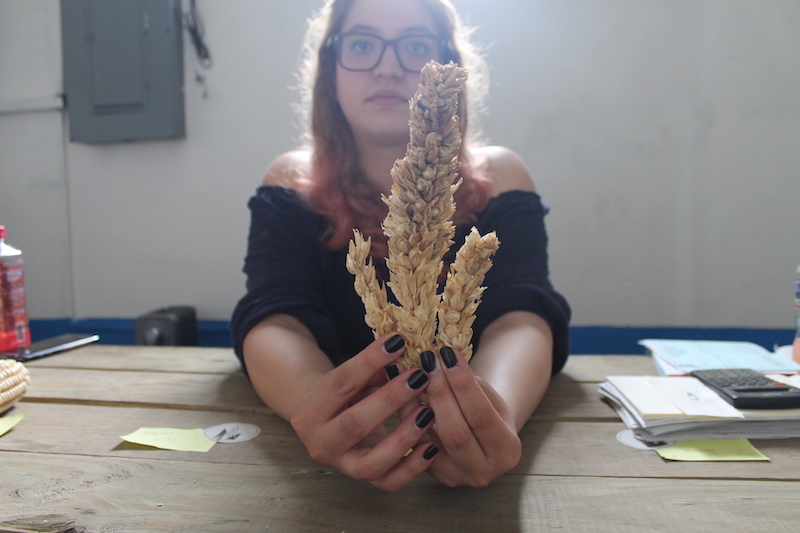 Santiago, 25, has spread out two dozen corn cobs, called mazorcas, on the table at the Mexico City warehouse of Maizajo, an heirloom corn tortilla company. The kernels are varied in shape and color: reds, yellows, blues, purples; some narrow, others wide. The diversity of the mazorcas on the table represents the ancestral knowledge of Mexican corn farmers around the country. Each variety comes with a story: that of the town and producer where Muñoz or one of his colleagues sourced it. Santiago points out the different uses for each variety of corn, including pozolero for pozole, and palomero for popcorn. At the Maizajo warehouse in the industrial Mexico City borough of Azcapotzalco, container trucks rumble past the entrance, and a railyard is close by. The corn fields and the rhythm of the planting season may feel far away from here, but in a megalopolis of 22 million people, Maizajo is using tortillas to connect consumers to the small-scale farmers who live outside the city sprawl. Just over a year since opening, Maizajo is already supplying 35 restaurants around Mexico City with corn tortillas and masa, the dough to make them. That totals between 200 and 250 kilos of tortillas and masa a day. While most tortillas sold in Mexico City are made from industrial mixes of hybrid corn varieties, Maizajo only sources native corn directly from small-scale farmers. For the past 10,000 years, inhabitants of Mesoamerica have been domesticating corn. The origin of domesticated corn is teocintle, which is endemic to Mexico and Central America. Maizajo takes its name from one of the oldest varieties of corn, which can still be found in states like Tlaxcala today. Mexico is deeply diverse in ethnicities, cultures and climates, but corn is a unifying factor across the country. From arid Northern Mexico, to the temperate central states, to tropical Yucatan, corn and tortillas have sustained the Mexican diet for centuries. The name of the state of Tlaxcala even derives from the word for tortilla in Náhuatl, the language of the Aztecs in central Mexico: tlaxcalli. Moreover, there are records dating before 500 A.D. of tortillas being consumed in Mexico. 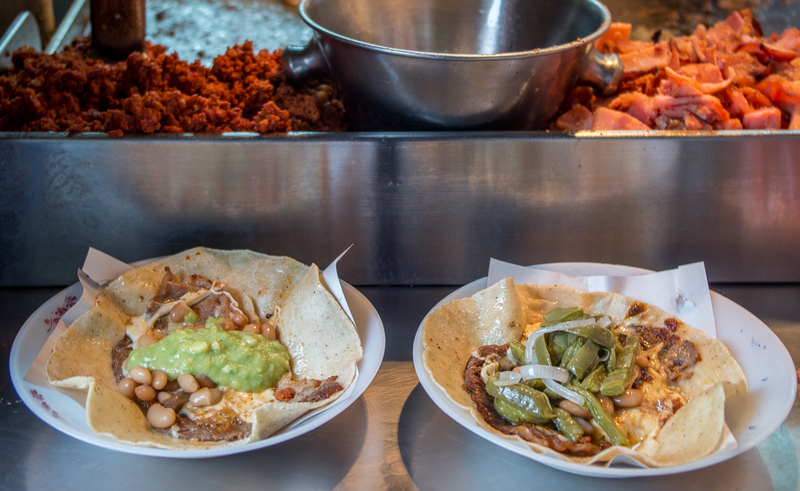 Millions of Mexicans continue to eat handmade tortillas from local corn, cooked on simple comals, smooth flat griddles that can be made from earthenware or metal. 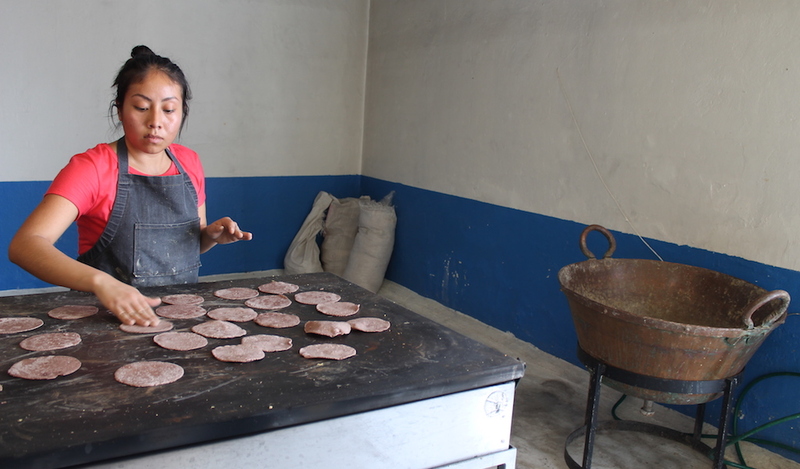 Women in rural areas wake early to prepare the daily tortillas, made from corn that families grow in small plots known as milpas. 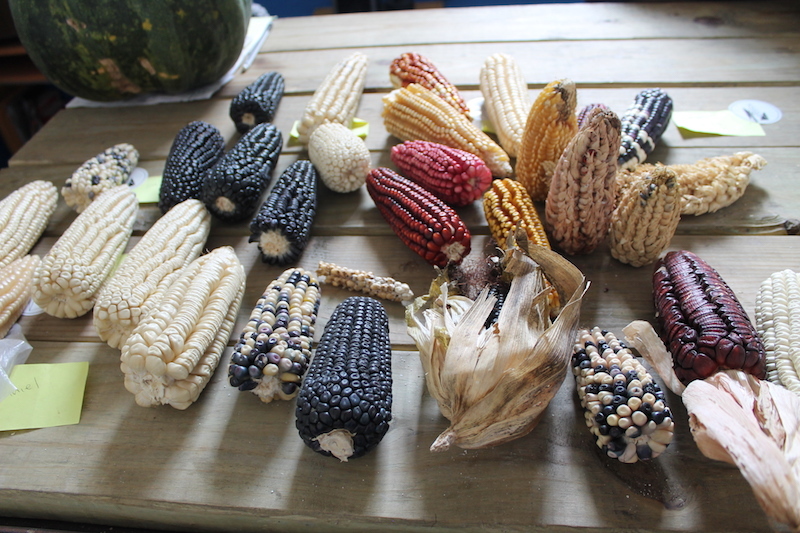 The basis of the milpa is corn, beans and chiles, with myriad regional varieties depending on climate and culture. But since the early 1990s, millions of Mexicans have migrated from the countryside into cities, or north to the United States. This massive demographic shift, coupled with changes in the Mexican agricultural sector, has transformed how people eat tortillas. In cities, with no land for a milpa and little time to prepare handmade tortillas, mass-produced tortillas from tortillerias (tortilla-making shops) are the most practical option. 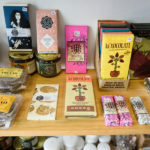 Instead of local, native corn varieties, large companies such as Maseca and Minsa stock tortillerias with ready-to-mix flour made from hybrid corns. While hybrid seeds have been bred to grow bigger and strong plants, they have several downsides. For corn farmers, chief among them is that a hybrid seed can only be used for one year, and a new batch of seeds must be purchased the following season. Heirloom or native seeds can be saved from year to year, allowing the farmer to select for quality and save money. Traditional tortillas are produced using the pre-Hispanic process of nixtamalization (nixtamalización), which involves cooking corn with lime – the alkaline material, not the fruit! – to help release the plant’s nutrients. Instead of going through the nixtamalization process, many tortillerias now use packaged corn flour mixes, which they only have to combine with water. These corn flours are a faster alternative to nixtamalization. The North American Free Trade Agreement (NAFTA) is one key reason why Mexico’s most vital staple food has changed so rapidly. The landmark deal, which went into effect in 1994, put Mexican corn farmers in direct competition with producers in the U.S. Midwest. The small-scale family farming model that had sustained the Mexican food system for centuries was devastated in favor of agro-industry. One study found that imports of corn from the U.S. quadrupled after NAFTA. The Center for Economic Policy Research found between 1991 and 2007 there was a net loss of 1.9 million farming jobs in Mexico. Many rural, indigenous Mexicans displaced from the agricultural sector decided to head north. 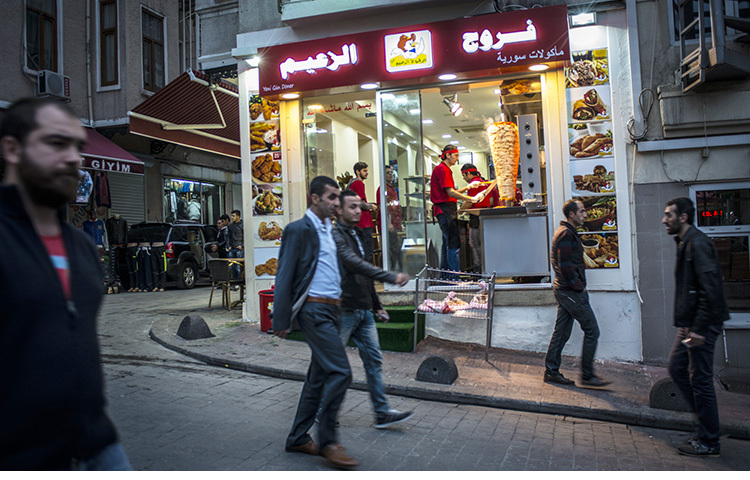 Migration to the United States soared 79 percent from 1994 to 2000. Meanwhile, the farmers who continued to grow corn increasingly turned to hybrid varieties that the big agricultural companies were promoting. Hybrid seeds have higher yields but damage soil health, and unlike native corns, oblige the farmer to buy new seeds every year. Genetically modified corn is the next frontier, and Monsanto has been aggressively pushing GMO corn in Mexico for years. A January 2017 court ruling upheld a ban on Monsanto piloting genetically modified corn in Mexico, due to its effects on the environment. 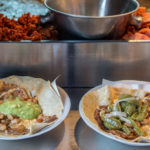 While planting GMO corn is still prohibited, the “white corn” used in tortillas shows GMO contamination; one study found traces of GMOs in nine out of ten tortillas. Despite the drastic changes of the past three decades, tortillas remain a staple of the Mexican diet. According to the Mexican Corn Tortilla Foundation, an estimated two million farmers still cultivate corn and 80,000 tortillerias operate across the country. Tortillas are so essential to daily life that the price of a kilo of tortillas is a frequent barometer of inflation. Maizajo is betting that Mexican consumers are ready to return the real stuff: fresh, native corn tortillas. 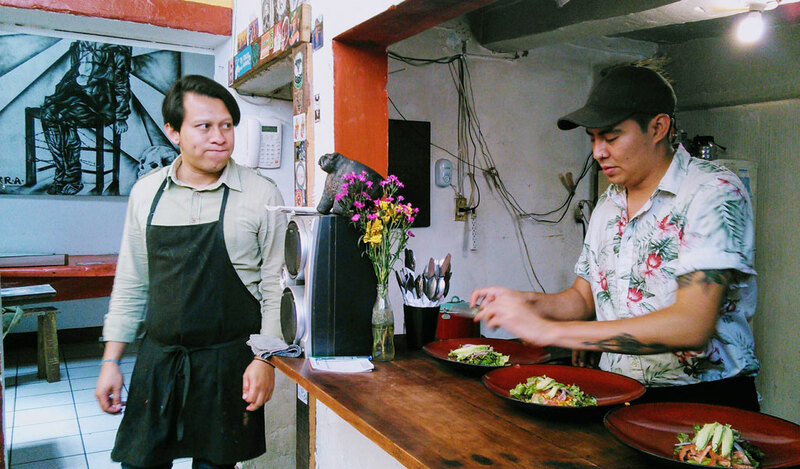 Santiago and Chelsea founded Maizajo in 2016 along with Daniel González and with the support of Gerardo Vázquez, the chef at Restaurante Nicos, a highly regarded restaurant that’s been in business for more than 60 years in Azcapotzalco’s leafy Claveria neighborhood. Chelsea explains that the team first met at Nicos, where she was working as a pastry chef and Santiago and Daniel were working as cooks (both also worked at its sister restaurant Fonda Mayora). Given the restaurant’s focus on traditional Mexican recipes, such as sopa seca de natas, a crepe-like dish that originated in a nineteenth-century Jalisco convent, it’s no surprise that their tortillas are made by hand. While working at the restaurant, the four co-founders took an interest in traditional corn varieties and began documenting them as a side project. Using those different varieties to make tortillas was the logical next step. That was how Maizajo was born in 2016. They bought a mill to grind the corn and set up shop in the Roma neighborhood. But as middle-class twenty-somethings from Mexico City, they realized that had a lot to learn. They turned to Laura García for help. Laura is a tortilla maker from the small town of San Bartolomé Actopan, State of Mexico. Her family grows their own corn, and Laura’s mother taught the Maizajo team the process of nixtamalization. Maizajo’s first corn purchases were from her family and their neighbors. By February 2017, they were selling their first tortillas to restaurants and growing by trial and error. Their first big challenge, according to Santiago, was sourcing enough corn. They bought yellow corn, and later blue and red varieties, which are in high demand at restaurants. But they quickly ran out of red corn and had to explain to their customers that red tortillas wouldn’t be available until they found another farmer to buy from. Maizajo has so far bought corn in the states of Mexico, Hidalgo, Tlaxcala, Guerrero and Oaxaca. There are few buyers for native corn, so Maizajo provides an important alternative for farmers who would otherwise be forced to sell their crop to middlemen for low prices. Today, the four business partners divide responsibilities: Chelsea manages day-to-day production and delivery logistics, Santiago handles the corn sourcing, Daniel researches new corn varieties and tests the nixtamalization for each one, and Gerardo promotes the company. The team arrives early in the morning to send tortillas out by midday. The first step is to clean the corn and then cook it with lime. The amount of lime and the cooking time depend on the variety, knowledge which they are compiling from the local producers. The corn is then ground into masa using a special mill. 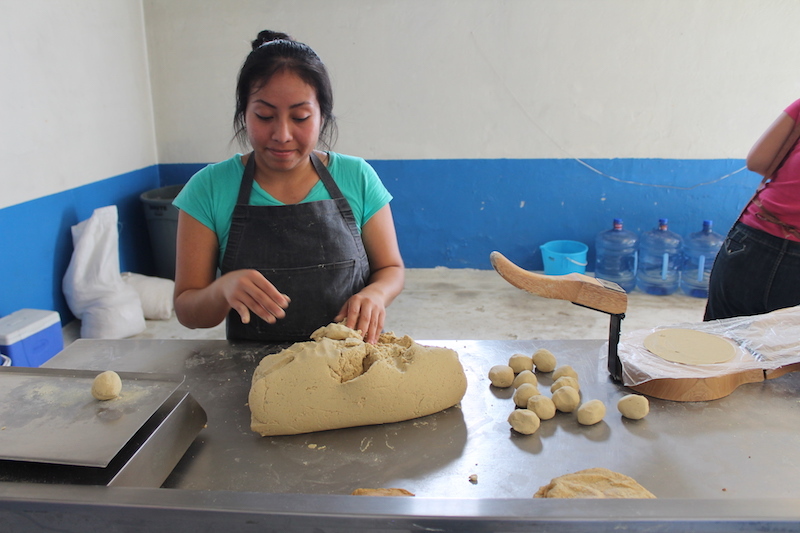 The masa is then divided into uniform balls to start making the tortillas. Laura García and Sandra García work making the tortillas over a gas-heated griddle. Each tortilla needs to be flipped three times to cook evenly. It may look simple, but they know when and how to flip the tortillas, and can make dozens of kilos in a single day. The results are soft, but pliable tortillas with robust flavor. The warehouse fills with the smell of fresh corn, and we try a few tortillas before they are sent out for delivery. The bold yellow, blue and red hues are the result of heirloom corn varieties, never artificial coloring. Santiago and Chelsea have had to educate many restaurant owners, because the fresh masa and tortillas need to be used the same day, unlike flour-based mixes made with preservatives. 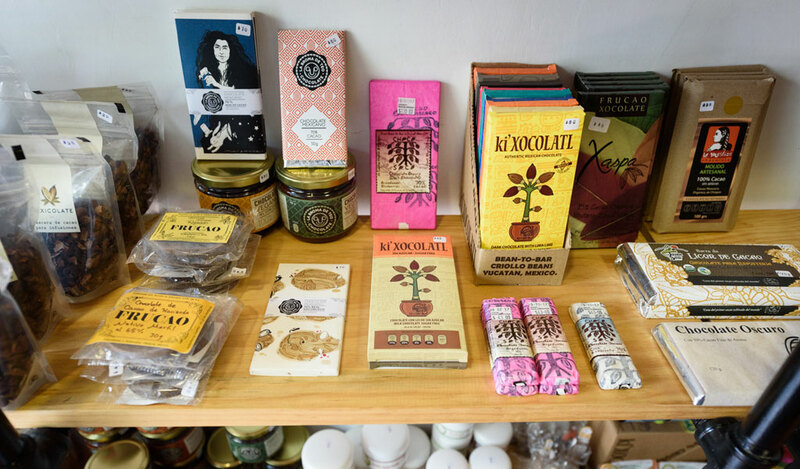 Maizajo supplies some of the best-known restaurants in Mexico City and sees part of their mission as changing the culture of fine dining in Mexico. Their most important teachers have been the farmers and tortilla-makers in small towns who know how to make a perfect tortilla from scratch, from each variety of corn. 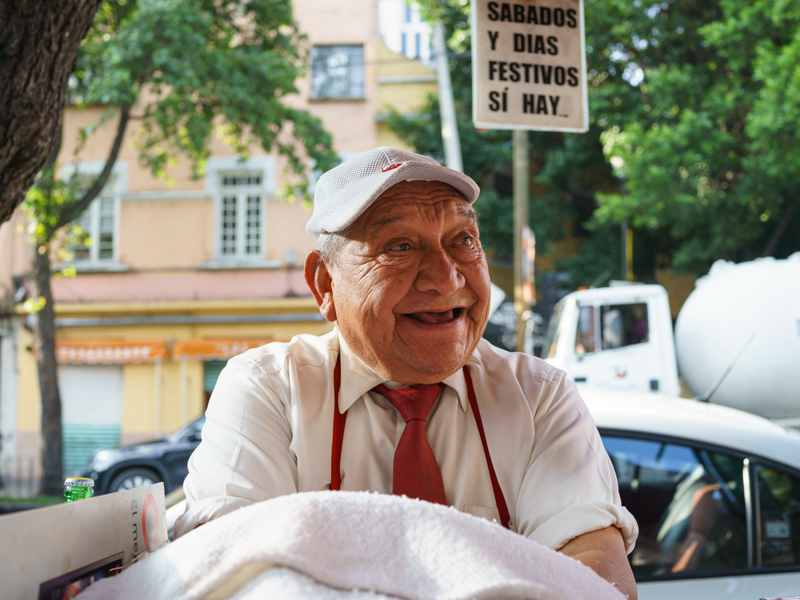 “I can learn so much from an older woman who has been making tortillas for 40 years,” says Santiago. Social media has been key to promote the project. Their Facebook and Instagram accounts have attracted both farmers seeking to sell corn, and Mexico City residents interested in buying tortillas – it helps that the colorful tortillas are Instagram-friendly. 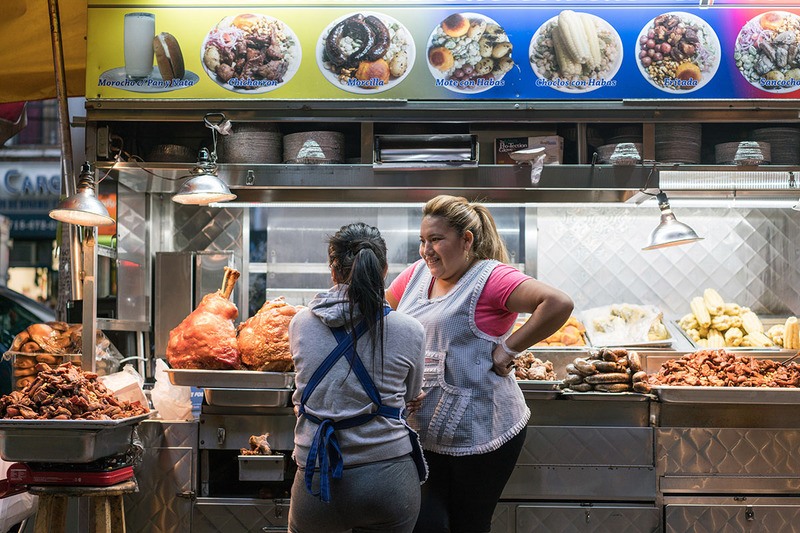 Santiago explains that aside from restaurant contracts, most individual orders come from people between 24 and 35 years old, who are discovering the richness of Mexican cuisine. Apart from this demographic, most of their customers are older than 50, from a generation that grew up eating native corn tortillas and want to buy tortillas like they had in their childhood. Maizajo also receives visitors from around the world, as Mexican gastronomy experiences an unprecedented boom. The day of our visit, three Korean food entrepreneurs are touring the warehouse. Maizajo is developing a corn flour that would be easier to export, because there are many restrictions on exporting dough or fresh corn. “We want to commercialize our corn flour so that all the Mexicans living abroad can have real corn tortillas,” says Santiago. While it might seem like an effort to turn back the clock on agro-industrialization, Maizajo has a thoroughly modern vision for how native corn tortillas can make a comeback. A kilo of Maizajo tortillas costs more than a kilo from an average tortilleria, but so far, the company’s success shows that there are plenty of customers willing to pay a premium. Scaling up poses its challenges, especially when it comes to an ancestral process that usually takes place at the family level. They are investing in a machine that will standardize the size and thickness of each tortilla, but they insist that a Maizajo tortilla will always be handmade. By exploring ways to make the production process more cost-efficient, the long-term vision is to expand and open more tortillerias to make native corn tortillas available to all sectors of Mexican society. Santiago sums up their simple but ambitious goal: “The dream is for all children to know what a good tortilla is.” Standing in the warehouse and watching kilos of tortillas being sent out for delivery, it feels attainable.